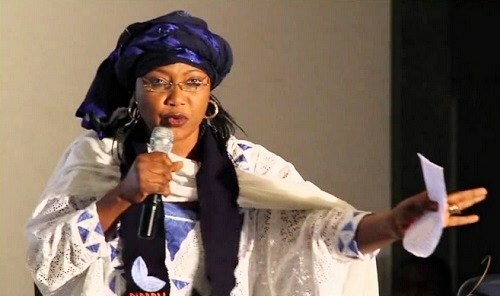 A female activist and Northern-based politician, Najatu Muhammad, has rejected her appointment by President Muhammadu Buhari as Chairperson of the Governing Council of the Dutse Federal University. Najatu who was Buhari’s staunch supporter during the 2015 general elections, said she received the Federal appointment on Saturday through a newspaper publication. Recall also that on Saturday President Buhari sacked Vice-Chancellors of the 12 Federal Universities established by former President Goodluck Jonathan. the announcement of her appointment in the newspaper, said she would not be able to accept it for personal reasons. Her rejection was contained in a quarter-page newspaper advert published in Daily Trust on Monday and addressed to Adamu Adamu, Buhari’s Minister of Education. She said: “Sir, I Najatu Muhammad wish to thank you so much for considering me worthy of being appointed the chairperson of Dutse Federal University. She however pledged to continue to support Buhari, stating that: “I will however remain an ardent supporter of President Muhammadu Buhari in his effort in charting a new course for this country. “A course that we pray will put this country back to the path of progress. I will also continue to support the President’s fight against corruption and other ills of this country. My unflinching support for the President will remain for Allah’s sake and country. I pray that Allah will continue to guide and protect our President.